Actress Wumi Toriola was in the eye of the storm recently when she uploaded a video online in which she attacked Toyin Abraham for saying that getting married and buying a car were not achievements. Recall that Toriola had recently got married and bought a car. However, she has since apologised to Abraham. In a chat with Sunday Scoop, Toriola revealed what initially led to a thaw in their once cosy relationship. She said, “After we shot Alakada Reloaded, we were in a hotel room and she slapped me. I was very angry and I would have hit her back if not that I loved her. After she slapped me, I walked out and went to another room. The following day, I expected her to apologise to me but she just told me to bring her belongings in my car. She was not apologetic at all. 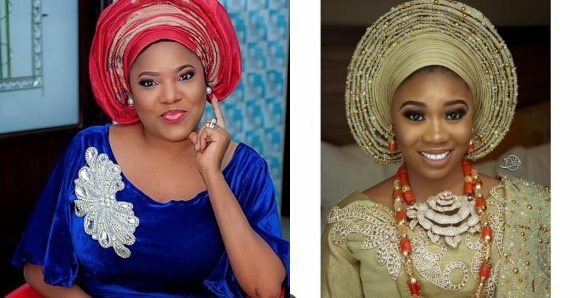 Maintaining that she wasn’t taking sides with either Toyin or Mercy, Toriola said, “I wasn’t trying to take sides; both Mercy and Toyin are colleagues. I used to be close to Toyin but not anymore. Concerning my post, most of our followers are the ones who cause issues. Someone said marriage is not an achievement and it got on my wrong side. We come to life to have families and build a home to make them happy; I feel those are the priorities of life.